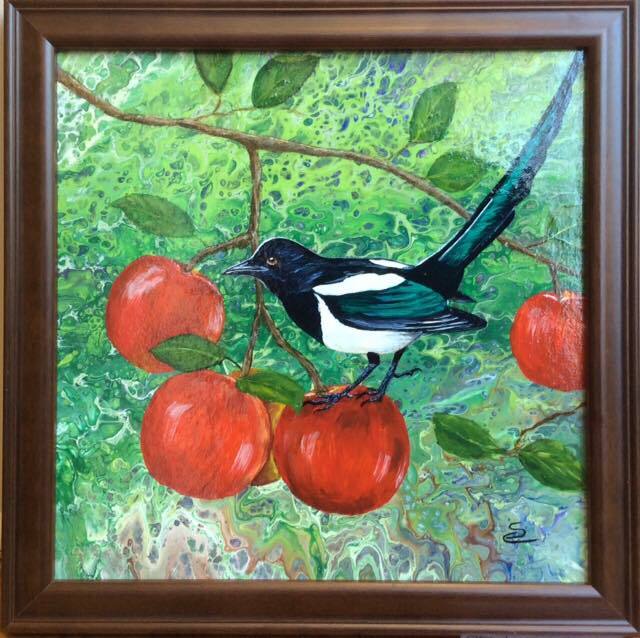 "Apple Pie" by Sue Callahan is one interpretation of this April's theme: Naturalists. Stroll down Middle Street, peer into our front window, and see how our other artists are interpreting the theme! And check out the work of our Featured Artists for April: Sandy Bruno, Ann Marie Hodrick, and Rebecca Preece. New art in our windows, refreshments, and live music with Alan Gleeson at the Gallery. Alan sings and plays guitar, bass, and mandolin. He belonged to bands in Connecticut, and since moving to North Carolina Alan is a regular performer with our frequent ArtWalk groove-meister, Dan Jam Phillips. Promotion card featuring member artist Heidi DiBella. Art Walk is a casual celebration of art and community in downtown New Bern, held every second Friday of each month (yes, even in winter). It begins at 5 p.m. and usually goes till 8 p.m.--or later! You're invited to stroll along the sidewalks, drop in on shops and galleries, and dine at one of many fine restaurants and lively taverns on your way. Pick up a guide downtown for a map and a complete list of participating venues. 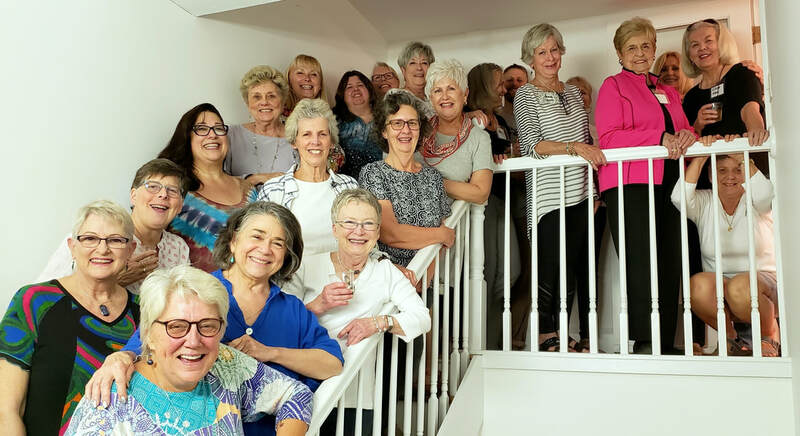 There is no shortage of inspiring, creative work for you to view and purchase: Community Artists Gallery & Studios hosts over two dozen artists. And don't miss The Bank of the Arts, Carolina Creations, and New Bern Arts and Wellness Center. 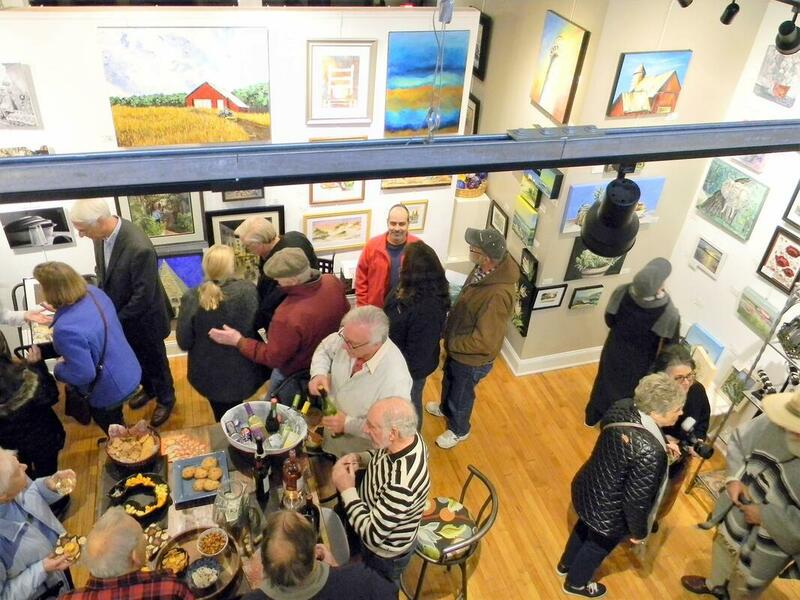 Art, music, and refreshments will enhance your downtown stroll. Our artists volunteer to make your visit to our gallery extra special during Art Walk.